.S. World War II Draft Registration Cards, 1942 [database on-line]. Provo, UT, USA: The Generations Network, Inc., 2007. Original data: United States, Selective Service System. Selective Service Registration Cards, World War II: Fourth Registration. National Archives and Records Administration Branch locations: National Archives and Records Administration Region Branches., online http://www.ancestry.com, Charles Wesley Pitt - Bith Date, 26 Jun 1879 - Sebastopo, California. Genealogy.Com Online Census immiages household, 1900 U.S. Census, Kent County, Michigan, population schedule, ED unknown cd3, sheet unknown cd4. 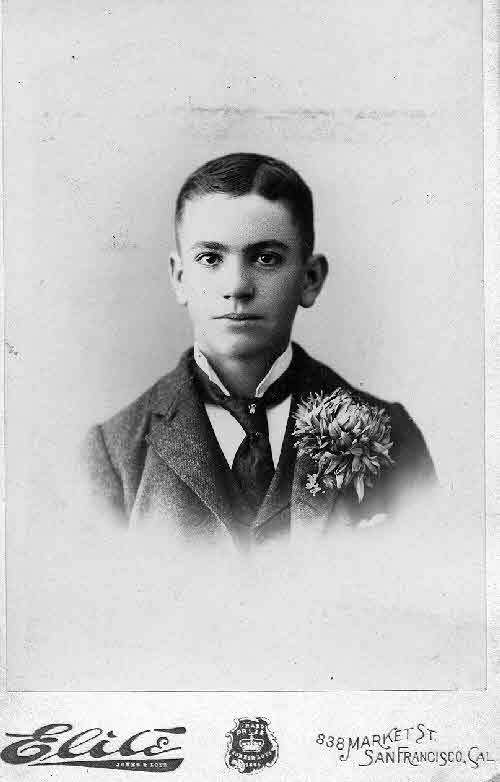 LDS, Family Search, IGI Individual Record, online www.familysearch.org, Batch: M018195, Record Number: 659, Marriage to Lewis C. Davidson - Father: Lewis C. Davidson, Mother: Ruth Pratt. Luman Dahlem household, 1900 U.S. Census, Kent County, Michigan, population schedule, Grand Rapids, ED 80, sheet 15A, dwelling 214, family 233, age 50, occupation Painter. Michigan Marrieage, 1868-1925 viewed at FamilySearch, online https://familysearch.org/search/, FamilySearch Refeence: Film Number: 2342763; Frame Number: Digital Folder Number: 4210109; Image Number: 176; Reference Number: v 4 rn 2857. Michigan Marriages, 1822-1995," database, online at FamilySearch, online familysearch.org, FFamilySearch (https://familysearch.org/ark:/61903/1:1:FC5Q-LNS : 4 December 2014), Wm. C. Davidson and Grace Dahlem, 25 Feb 1897; citing reference ; FHL microfilm 2,342,507. Wm. C. Davidson household, 1900 U.S. Census, Kent County, Michigan, population schedule, Grand Rapids, ED 104, sheet 184A, dwelling 154, family 268, occupation engineer steam road. Wm. C. Davidson household, 1910 U.S. Census, Kent County, Michigan, population schedule, Grand Rapids, ED 104, sheet 184A, dwelling 154, family 268, occupation engineer steam road. William C. Davidson household, 1920 U. S. Census, Kent County, Michigan, population schedule, Grand Rapids, sheet 82, dwelling 4A, family 66, 101. William Davidson household, 1930 U.S. Census, Kent County, William Davidson, population schedule, Grand Rapids, ED 79, sheet 95A, dwelling 156, family 2252, occupation city stree inspector. George L Lusk household, 1940 U.S. Census, Gratiot County, George L Lusk, population schedule, Alma, ED 29-7, sheet 1A, house number 1200, number of household visited 1, National Archives micropublication T627-1754, 73 year old superintendant of Fraternal Home (Home for Aged. Grace M. Davidson household, 1940 U.S. Census, Gartiot County, Grace M. Davidson, population schedule, Alma, ED 29-7, sheet 2A, Street or Post Office Michigan Masonic Home, house number 1200, National Archives micropublication T627-1754, 62 year old widowed "guest" at the old folks home. Charles Kimball household, 1880 U.S. Census, Kalamazoo County, Charles Kimball, population schedule, Kalamazoo, ED ED, sheet 231B, dwelling Dw, family Fm, age 23, occupation. Charles Kimball household, 1880 U.S. Census, Kalamazoo County, Charles Kimball, population schedule, Kalamazoo, ED 135, sheet 231B, dwelling 565, family 577, age 23, occupation Boarding House Keeper. Michigan Births, 1867-1902 - FamilySearch, online beta.familysearch.org, Henrietta Kimball: Film Number: 2320565; Digital Folder Number: 4206453; Image Number: 371; Reference Number: item 2 p 361 rn 326. Charles Kimball household, 1880 U.S. Census, Kalamazoo County, Charles Kimball, population schedule, Kalamazoo, ED 135, sheet 231B, dwelling 565, family 577, age 23, occupation Keeping Boarding House. Michigan Marrieage, 1822-1995 viewed at FamilySearch, online https://familysearch.org/search/, FamilySearch Reference - Indexing Project (Batch) Number: M74819-6; System Origin: Michigan-EASy; Source Film Number: 984142; Reference Number: page 310. Eliza Coppernoll household, 1900 U.S. Census, Kalamazoo County, Eliza Coppernoll, population schedule, Kalamazoo, ED 112, sheet 21B, dwelling 465, family 534, age 38, occupation House Keeper. Indiana. Marriages, 1811-2007 viewed on FamilySearch, online familysearch.org, FamilySearch (https://familysearch.org/ark:/61903/1:1:VKNV-NS4 : 21 January 2016), Orran Rineveld and Henrietta Sternfield, 18 Jun 1932; citing Lagrange, Indiana, United States, various county clerk offices, Indiana; FHL microfilm 1,871,438. Find A Grave - Memorial Page, online www.findagrave.com, Henrietta Kimball Rineveld - Find A Grave Memorial# 30713118. 1881 British Census: Ancestry.com. Provo, UT: Ancestry.com, 2002-. Indexed by Ancestry.com from microfilmed schedules of the England 1881 Census. Images reproduced by courtesy of the Public Record Office, London, England., online search.ancestry.com, William J. and Jane Forth; Class: RG11; Piece: 1597; Folio: 82; Page: 4; GSU roll: 1341383. Public Member Tree, online search.ancestry.com, Paul Venters - paulventers5. William J. Forth Household, Crowland, Cambridgeshire, 1891 Census Returns of England and Wales , Piece: 1232 , Folio: 144 , Page: 18 , CSU roll: 6096342 47 year Agricultural Laborer. Otto Schmalbeck household, 1910 U.S. Census, Boone County, Illinois, population schedule, Belvidere, ED 0005, sheet 8A, dwelling 180, family 201, age 31, occupation Assembler Sewing Machine. Ancestry.com. World War I Selective Service System Draft Registration Cards, 1917-18 [database online] Provo, UT: Ancestry.com, 2002. National Archives and Records Administration. World War I Selective Service System Draft Registration Cards, 1917-1918. M1509, 20,243 rolls. Washington, D.C.: National Archives and Records Administration, online www.ancestry.com, Otto C. Schmalbeck; Source Citation: Registration State: Colorado; Registration County: Denver; Roll: 1544476; Draft Board: 2. Otto Schmalbeck household, 1900 U.S. Census, Cook County, Illinoise, population schedule, Chicago, ED 0396, sheet 10A, dwelling 118, family 174, age 21, occupation Clerk in Grocery. Public Member Tree, online search.ancestry.com, Keim Family Tree - daveandjudy77. Ancestry.com. Cook County, Illinois, Marriages Index, 1871-1920 [database on-line]. Provo, UT, USA: Ancestry.com Operations, Inc., 2011. Original data: “Illinois, Cook County Marriages, 1871–1920.” Index. FamilySearch, Salt Lake City, Utah, 2010. Illinois Department of Public Health records. "Marriage Records, 1871–present." Division of Vital Records, Springfield, Illinois, online search.ancestry.com, Amelia Gehrke and Otto Schmalbeck; FHL Film Number: 1030310. Cyrus E. Dickerson household, 1900 U.S. Census, Collin County, Texas, population schedule, Justice Precinct 5, ED 0018, sheet 14A, dwelling 236, family 237, age 29, occupation Farmer. Original data: Texas Department of State Health Services. Texas Death Certificates, 1903–1982. iArchives, Orem, Utah., online search.ancestry.com, Lydia Agnes Dickerson Reynolds. State File No. 78374; Father: Cyrus Dickerson, Mother: Nora Wolliford. Informant: Bobby Reynolds, grandson. Henderson Williford household, 1880 U.S. Census, CollinCo, Henderson Williford, population schedule, Pricinct 5, ED 025, sheet 205C, dwelling 99, family 165, age 47, occupation Farmer. Cyrus E. Dickerson household, 1910 U.S. Census, Jackson County, Cyrus E. Dickerson, population schedule, Eldorado, ED 0138, sheet 19A, dwelling 355, family 357, age 39. occupation Farmer - General. Cyrus E. Dickerson household, 1920 U.S. Census, Collin County, Cyrus E. Dickerson, population schedule, McKinney, ED 10, sheet 3A, dwelling 53, family 56, age 48, occupation Cotton Mill Laborer. Illinois Marriages, 1815-1935 online at FamilySearch., online familysearch.org, FamilySearch (https://familysearch.org/ark:/61903/1:1:V2GW-2CX : 29 December 2014), James Webb and Addie M. Russell, 27 Aug 1905; citing Bloomington, Mclean, Illinois; FHL microfilm 1,401,959. John E. Russel household, 1900 U.S. Census, McLeanCo, John E. Russel, population schedule, Bloomington, ED 0083, sheet 14B, dwelling 300, family 318, age 59, occupation Teamster. Children of Fayette Spilman Tolson and Mary H. Hamilton ? Thos household, 1880 U.S. Census, Santa Clara County, California, population schedule, Fremont, ED 252, sheet 293B, dwelling 300, family 300, age 58, occupation Farmer. Harry Scott assined , 1900 U.S. Census - U.S. Naval Forces population schedule, Uss Whealing, ED 84, sheet B1, age 23, occupation ordinary seaman. .S. World War II Draft Registration Cards, 1942 [database on-line]. Provo, UT, USA: The Generations Network, Inc., 2007. Original data: United States, Selective Service System. Selective Service Registration Cards, World War II: Fourth Registration. National Archives and Records Administration Branch locations: National Archives and Records Administration Region Branches., online http://www.ancestry.com, 89113. Port of departure: San Francisco, California; Departure Date: 2 May 1919; Port of arrival: Honolulu, Hawaii; Arrival Date: 10 May 1919; Last Residence: Hawaii. Harry T. Scott household, 1930 U.S. Census, Honolulu County, Harry T. Scott, population schedule, Honolulu, ED 60, sheet 13B, dwelling 228, family 249, age 52, occupation Laborer - Army Littlefield. United States, 1942 World War II Draft Registration Cards, viewed at FamilySearch, online familysearch.org, Photo copy of the WW II draft card for Harry Tower Scott birth date 13 Sep 1878 - FamilySearch Reference: Film Number: 2436279; Digital Folder Number: 4670148; Image Number: 02252. Albert J. Kendall household, 1900 U.S. Census, Brookings County, Albert J. Kendall, population schedule, Brookings City, ED 0035, sheet 15, dwelling 278, family 285, age 49, occupation Farmer. Iowa, County Births, 1880-1935, Index viewed and FamlySearch, online familysearch.org, FamilySearch (https://familysearch.org/ark:/61903/1:1:XVXT-N2N : 10 March 2018), Clinton David Kendall, 26 Sep 1878; citing Sergeant Bluff, Woodbury, Iowa, United States; county district courts, Iowa; FHL microfilm 1,451,574. Albert Kendal household, 1880 U.S. Census, Grant County, Wisconsin, population schedule, Wyalusing, ED 130, sheet 416A, dwelling 118, family 118, age 29, occupation Stock Grower. South Dakota State Census, 1945, database with images, online familysearch.org, FamilySearch (https://familysearch.org/ark:/61903/1:1:MLBT-RGV : 3 August 2017), C D Kendall, Brookings Ward 4, Brookings, South Dakota; citing p. , State Historical Society, Pierre; FHL microfilm 2,371,453. United States World War I Draft Registration Cards, 1917-1918, omdex amd images online at FamilySearch., online familysearch.org, FamilySearch (https://familysearch.org/ark:/61903/1:1:K68W-TD7 : 13 March 2018), Clinton David Kendall, 1917-1918; citing Brookings County, South Dakota, United States, NARA microfilm publication M1509 (Washington D.C.: National Archives and Records Administration, n.d.); FHL microfilm 1,877,786. Clinton D. Kendall household, 1930 U. S. Census, Los Angeles, California, population schedule, Whittier, ED 1542, sheet 9A, dwelling 260, family 261, age 51, occupation Druggist - Own Drug Store. South Dakota State Census, 1935, database with images online at FamilySearch, online familysearch.org, FamilySearch (https://familysearch.org/ark:/61903/1:1:MV4R-2DH : 30 July 2017), C D Kendall, Brookings ward 3, Brookings, South Dakota; citing p. 313, State Historical Society, Pierre; FHL microfilm 2,370,029. Clinton D. Kendall household, 1940 U.S. Census, Brookins County, Clinton D. Kendall, population schedule, Brookings City, ED 6-10, sheet 1A, Street or Post Office Fourth Street, house number 725, number of household visited 7, National Archives micropublication T627-3848, age 61, occupaton Pharmacist. United States World War I Draft Registration Cards, 1917-1918, database with images online at FamilySearch, online familysearch.org, FamilySearch (https://familysearch.org/ark:/61903/1:1:KZKQ-87N : 13 March 2018), Benjamin Truman Salmon, 1917-1918; citing San Joaquin County, California, United States, NARA microfilm publication M1509 (Washington D.C.: National Archives and Records Administration, n.d.); FHL microfilm 1,544,322. California, County Marriages - viewed at FamiySearch, online www.familysearch.org, FamilySearch (https://familysearch.org/ark:/61903/1:1:K8ZX-N2L : 10 December 2017), Benjamin I Salmon and Charlotte A Bason, 03 Jan 1904; citing San Joaquin, California, United States, county courthouses, California; FHL microfilm 1,841,858. Howard Salmon household, 1930 U.S. Census, Contra Costa County, California, population schedule, Richmond, ED 43, sheet 5A, dwelling 118, family 118, age 25, occupation Laborer - Oil Refinery. George P. Craighill household, 1880 U.S. Census, Campbell County, Virginia, population schedule, Lynchburg, ED 53, sheet 318D, dwelling 80, family 131, age 29, occupation Druggist. Ancestry.com. World War I Selective Service System Draft Registration Cards, 1917-18 [database online] Provo, UT: Ancestry.com, 2002. National Archives and Records Administration. World War I Selective Service System Draft Registration Cards, 1917-1918. M1509, 20,243 rolls. Washington, D.C.: National Archives and Records Administration, online www.ancestry.com, Source Citation: Registration Location: Wise County, Virginia; Roll: 1985172; Draft Board: 5. George P. Craighill household, 1880 U.S. Census, Campbell County, Virginia, population schedule, Lynchburg, ED 53, sheet 318D, dwelling 30, family 31, age 29, occupation Druggist. George P. Craighill, Jr. household, 1900 U.S. Census, Rockbridge County, George P. Craighill, Jr., population schedule, VMI, Lexington, ED 97, sheet 31A, dwelling 593, family 658, age 18, occupation At School. Geo. P. Crainghill household, 1920 U.S. Census, Loudoun County, Geo. P. Crainghill, population schedule, Leesburg, ED 69, sheet 9A, dwelling 200, family 206, age 41, occupation Rector Episcapal Church. George P. Craighill household, 1930 U.S. Census, Loudoun County, George P. Craighill, population schedule, Leesburg, ED 8, sheet 11A, dwelling 279, family 279, age 50, occupation Minister - Episcapal Church. MERIDIAN--Private graveside services for Mrs. Ettie M. Carter, 90, of 332 W. Idaho, Meridian, who died Ssaturday as the result of a fire at her home, were conducted at 2 p.m. today at the Meridian Cemetery. The Rev. Ralph Fothergill of the Meridian United Methodist Church officiated. Arrangements were under direction of Robison Chapel of the Chimes. Mrs. Carter was born Oct. 20, 1880, at Ft. Blackmore, Va. She married Henry C. Carter on Dec. 31, 1903, at Gato City, Va. He died July 2, 1961. She had lived in Meridian since 1905. She was a member of the Meridian United Methodist Church. Survivors include a son, William H. Carter, Springfield, Ore., and four grandchildren and 11 great-grandchildren. Virginia Marriages,1785-1940, database, FamilySearch, online http://familySearch.org, FamilySearch (https://familysearch.org/ark:/61903/1:1:X5K2-H2J : 10 March 2018), Wade H. Flanary in entry for Ettie M. Flanary, 17 Oct 1878; citing Scott, Virginia, reference p 277; FHL microfilm 2,046,967. Find A Grave, database and immages, online www.findagrave.com, Wade Houston Flannery, Find A Grave Memorial no: 58133048. Carrie Kinner household, 1920 U. S. Census, Douglas County, Carrie Kinner, population schedule, Larkspur, ED 65, sheet 8B, dwelling 141, family 182, age 48, occupation None. RootsWeb's World Connect Project - Global Search, online wc.rootsweb.ancestry.com, George & Georgia's New Family Tree - e-mail address. Find A Grave - Memorial Page, online www.findagrave.com, William Nathan Catfield - Find A Grave Memorial# 34102637. William N. Chatfield household, 1910 U.S. Census, Esmeralda County, Nevada, population schedule, Goldfield, ED 0025, sheet 12B, dwelling 409, family 416, age 31, occupation Book Keeper - Power Company. California Passenger and Crew Lists, 1882-1959 [database on-line]. Provo, UT, USA: The Generations Network, Inc., 2008., online www.ancestry.com, Archive information (series:roll number): M1410:160. William N. Chatfield household, 1930 U.S. Census, Alameda County, William N. Chatfield, population schedule, Berkeley, ED 0323, sheet 9B, dwelling 238, family 243, age 51, occupation Manager - Safe Deposit Bank. Find A Grave - Memorial Page, online www.findagrave.com, Gustavia Aleen "Aleene" Harrington Catfield - Find A Grave Memorial# 67527010. Public Member Tree, online search.ancestry.com, Stotts and Rice Family - dottiericestotts. Melissa Smith household, 1900 United States census, Jackson County, Melissa Smith, population schedule, Prairie, ED 137, sheet 9B, dwelling 212, family 213, age 48, occupation none. Find A Grave, database and immages, online www.findagrave.com, Daisy Zelma Smith Linck, Find A Grave Memorial no: 63552877. Winfie Smith household, 1880 United States census, Jackson County, Winfie Smith, population schedule, Prairie, ED 34, sheet 191A, dwelling 75, family 77, age 33, occupation Farmer. George F Linck household, 1910 U.S. Census, Jackson County, George F Linck, population schedule, Kansas City, ED 139, sheet 4B, dwelling 99, family 106, age 32, occupation Postal Clerk - Railway. Find A Grave, database and immages, online www.findagrave.com, George F. Linck, Find A Grave Memorial no: 635527838. George F Linck household, 1920 U.S. Census, Jackson County, George F Linck, population schedule, Kansas City, ED 224, sheet 11B, dwelling 267, family 279, age 41, occupation Mait Clerk - Railroad. Daisy Z Linck household, 1930 U.S. Census, Jackson County, Daisy Z Linck, population schedule, Kansas City, ED 201, sheet 20A, dwelling 322, family 435A, age 42, occupation Beauty Parlor. Missouri, Jackson County Voter Registration Records, 1928-1956, database with images, online familysearch.org, FamilySearch (https://familysearch.org/ark:/61903/1:1:QPH7-DLP3 : 22 August 2018), Daisy Linck, from 1932 to 1936; citing Voter Registration, Prairie Township, Jackson, Missouri, United States, 1st Precinct, , Midwest Genealogy Center, Missouri. Melissa J Smith household, 1940 U.S. Census, Jackson County, Melissa J Smith, population schedule, Prairie, ED 48-41, sheet 3B, Street or Post Office Wilson, house number 207, number of household visited 64, National Archives micropublication T627-2116, age 88, occupation None. Eduard Grave household, 1900 U.S. Census, Cook County, Illinoise, population schedule, Chicago, ED 0503, sheet 4B, dwelling 24, family 85, age 53, occupation Fisherman. Public Member Tree, online search.ancestry.com, Grave Family Tree - tcluebkeman. Bernhard R. Grave household, 1930 U. S. Census, Los Angeles, California, population schedule, Hawthorne, ED 998, sheet 12A, dwelling 341, family 341, age 52, occupation None. Original data: Texas Department of State Health Services. Texas Death Certificates, 1903–1982. iArchives, Orem, Utah., online search.ancestry.com, John Ace Bugg - State File No. 38552. Frank Eglington household, 1880 U.S. Census, Kane County, Frank Eglington, population schedule, Sugar Grove, ED 94, sheet 476B, dwelling 83, family 88, age 25, occupation Farmer. Public Member Tree, online search.ancestry.com, Toovey Family Tree. Frank Eglington household, 1900 U.S. Census, Kane County, Frank Eglington, population schedule, Aurora, ED 62, sheet 10A, dwelling 189, family 204, age 45, occupation retired Farmer. George E. Heiss household, 1910 U.S. Census, Will County, George E. Heiss, population schedule, Joliet, ED 0173, sheet 1B, dwelling 21, family 23, age 33, occupation Mail Carrier - US Post Office. George Heiss household, 1920 U. S. Census, La Porte County, Indiana, population schedule, Pleasant, ED 159, sheet 1B, dwelling 21, family 21, age 43, occupation ? George Heiss household, 1930 U. S. Census, La Porte County, Indiana, population schedule, Pleasant, ED 0044, sheet 4A, dwelling 74, family 75, age 53, occupation Farmer. George Heiss household, 1940 U.S. Census, La Porte County, George Heiss, population schedule, Pleasant, ED 46-60, sheet 4B, Street or Post Office Farm, number of household visited 74, National Archives micropublication T627-1070, Married 64 year old Farmer. Ray E. Jones household, 1930 U.S. Census, Alameda County, Ray E. Jones, population schedule, Oakland, ED 120, sheet 8B, dwelling 196, family 221, occupation as electrical engineer. CA Death Index, online search.ancestry.com, Kenneth E. Jones Death Record. Ray E. Jones household, 1910 U.S. Census, Tuolumne County, Ray E. Jones, population schedule, Sonora, ED 165, sheet 9A, dwelling 189, family 200, age 29, occupation Engineer Electric Company. Frederick W. Button household, 1900 U.S. Census, Culpeper County, Virginia, population schedule, Jefferson, ED 8, sheet 8B, dwelling 141, family 141, age 48, occupation Farmer. J. Morimer Button household, 1930 U.S. Census, Culpeper County, J. Morimer Button, population schedule, Jefferson, ED 5, sheet 5B, dwelling 91, family 91, age 57, occupation Farme. Frederick Button household, 1880 U.S. Census, Culpeper County, Virginia, population schedule, Jefferson, ED 034, sheet 359B, dwelling age 26, occupation Keeping House? Farmer. J. Morimer Button household, 1930 U.S. Census, Culpeper County, J. Morimer Button, population schedule, Jefferson, ED 5, sheet 5B, dwelling 91, family 91, age 57, occupation Farmer. Ancestry.com. World War I Selective Service System Draft Registration Cards, 1917-18 [database online] Provo, UT: Ancestry.com, 2002. National Archives and Records Administration. World War I Selective Service System Draft Registration Cards, 1917-1918. M1509, 20,243 rolls. Washington, D.C.: National Archives and Records Administration, online www.ancestry.com, James Mortimer Button. Mortimer J. Button household, 1920 U. S. Census, Culpeper County, Vriginia, population schedule, Jefferson, sheet 21, dwelling 7A, family 127, 131. Charleston Sunday Gaette-Mail, 21 Dec 2008, (Viewed on line at Ancestry.com). Harry L. Strickler household, 1910 U.S. Census, Colusa County, California, population schedule, Arbuckle, ED 0019, sheet 9A, dwelling 153, family 153, age 42, occupation Hotel Keeper. CA Death Index, online search.ancestry.com, Place: Fresno; Date: 20 Aug 1984; Social Security: 562221542. Jas Skinner household, 1880 U.S.Territorial Census, Columbia County, Washington Territory, population schedule, District 4, ED 054, sheet 167C, dwelling 74, family 76, age 43, occupaion Cleaner. Jas Skinner household, 1880 U.S.Territorial Census, Columbia County, Washington Territory, population schedule, District 4, ED 54, sheet 167C, dwelling 74, family 76, age 43, occupation Farmer. Thomas Houlihan household, 1930 U. S. Census, Sacramento County, California, population schedule, Sacramento, ED 69, sheet 7B, dwelling 180, family 180, age 63, occupation Blacksmith. Find A Grave - Memorial Page, online www.findagrave.com, Cecil Rosetta Skinner Brooks - Find A Grave Memorial# 28622534; Photo of Headstone. Charles Martin household, 1930 U. S. Census, Stanislaus County, California, population schedule, Patterson, ED 0035, sheet 1B, dwelling 17, family 17, age 51, occupation Ditch Tender - Irragation Canal. Charlie Martin household, 1940 U.S. Census, San Joaquin County, Charlie Martin, population schedule, O'Neal, ED 39-87A, sheet 62A, Street or Post Office Grant Street, National Archives micropublication T627-325, Charlie is listed as a married 61 year old Forman of a WPA Project. Debbie Gowen Research, "Debbie (Pratt) Gowen - Emails," e-mail to David C. Pratt, Email - 8/25/2015 -. Michigan, Marriage Records, 1867-1952 [database on-line]. Provo, UT, USA: Ancestry.com Operations, Inc., 2015. Online at Ancestry.com, online search.ancestery.com, John Oppenneer and Lottie Brown; Record Number: 4584; Film: 78; Film Description: 1903 Hillsdale - 1903 Menominee. , Marriage Place: John Oppenneer and Lottie Brown; Record Number: 4584; Film: 78; Film Description: 1903 Hillsdale - 1903 Menominee. John S. Oppenneer household, 1910 U.S. Census, Kent County, Michigan, population schedule, Grand Rapids, ED 0108, sheet 3B, dwelling 45, family 45, age 31, occupation Butcher? - Sring? John Oppenneer household, 1930 U.S. Census, Ottawa County, John Oppenneer, population schedule, Jamestown, ED 139, sheet 1B, dwelling 13, family 13, age 41, occupaton Farmer - General. John S. Openeer household, 1930 U.S. Census, Kent County, John S. Openeer, population schedule, Grandville, ED 0143, sheet 4A, dwelling 75, family 79, age 52, occupation Gas and Oli Dealer - Service Station. Ray Travis household, 1940 U.S. Census, Kent County, Ray Travis, population schedule, Wyoming, ED 41-54, sheet 1A, Street or Post Office N Ganfield, house number 205, number of household visited 7, National Archives micropublication T627-1898, married 44 year old Blower Mechanic. Michigan, Marriage Records, 1867-1952 [database on-line]. Provo, UT, USA: Ancestry.com Operations, Inc., 2015. Online at Ancestry.com, online search.ancestery.com, Robert Lee Oppenneer and Viola Mae VanKoevering; County File Number: 386; State File Number: 41 15584; Film: 113; Film Title: 41 Kent 12540-15779; Film Description: Kent (1933 - 1935). , Marriage Place: Robert Lee Oppenneer and Viola Mae VanKoevering; County File Number: 386; State File Number: 41 15584; Film: 113; Film Title: 41 Kent 12540-15779; Film Description: Kent (1933 - 1935). U.S. Social Security Applications and Claims Index, 1936-2007 viewed online at ancestry.com, online search.ancestry.com, Type of Claim: Original SSN; Notes: Jun 1938: Name listed as JAMES FRANKLIN OPPENNEER; Aug 1946: Name listed as JAMES O FRANKLYN. Herbert H Fisher household, 1910, Alameda County, California, population schedule, Alameda, ED 0002, sheet 9B, dwelling 216, family 229, age 44, occupation Plumber. Herbert H. Fisher household, 1940 U.S. Census, Alameda County, Herbert H. Fisher, population schedule, Alameda, ED 1-14, sheet 4B, Street or Post Office Biggs Avenue, house number 3249, number of household visited 99, National Archives micropublication T627-185, Herbert was listed as a married 74 year old proprietor of a Plumbing Business. Herbert H Fisher household, 1920 U. S. Census, Alameda County, Herbert H Fisher, population schedule, Alameda, ED 2, sheet 2A, dwelling 36, family 42|age 53, occupation Plumber - Plumbing shop. Herbert H. Fisher household, 1930 U.S. Census, Alameda County, Herbert H. Fisher, population schedule, Alameda, ED 0208, sheet 4A, dwelling 104, family 108, age 64, occupation Plumber. Frank Parks household, 1920 U.S. Census, La Salle County, Illinois, population schedule, Ophir, ED 134, sheet 4A, dwelling 86, family 86, age 42, occupation Farmer. Mary E. Brown household, 1920 U.S. Census, Whitley County, Mary E. Brown, population schedule, Rockhold, ED 283, sheet 1B, dwelling 19, family 20, age 60, occupation Farmer - General Farm. California, County Marriages - viewed at FamiySearch, online www.familysearch.org, FamilySearch (https://familysearch.org/ark:/61903/1:1:XLZS-336 : 28 November 2014), Edwin S Yantis and Lydia E Munson, 24 Dec 1904; citing San Francisco, California, United States, county courthouses, California; FHL microfilm 974,858. Edwin Yantis household, 1910 U.S. Census, Santa Cruz County, California, population schedule, Santa Cruz, ED 92, sheet 96, dwelling age 34, occupation Conductor - Street Railway. California Death Index, 1905-1939, database with images viewed online at FamilySearch.com, online familysearch.org, FamilySearch (https://familysearch.org/ark:/61903/1:1:QKSM-KX1Q : 5 June 2015), Lydia E Yantis, 25 Sep 1922; citing 40474, Department of Health Services, Vital Statistics Department, Sacramento; FHL microfilm 1,686,047. Salmon Marriman household, 1880 U.S. Census, Sullivan County, Salmon Marriman, population schedule, Southold, ED 329, sheet 505D, dwelling 118, family 129, age 70, occupaton Keeping Hotel. Ezra S. Young household, 1910 U.S. Census, Suffolk County, Ezra S. Young, population schedule, Riverhead, ED 1380, sheet 7B, dwelling 184, family 200, age 31, occupation Truckman. Ezra S. Young household, 1920 U.S. Census, Suffolk County, Ezra S. Young, population schedule, Riverhead, ED 132, sheet 15B, dwelling 378, family 398, age 38, occupation Truckman - Own Car. Peter F. Terry household, 1880 U.S. Census, Suffolk County, Peter F. Terry, population schedule, Aquebogne, ED 323, sheet 364B, dwelling 173, family 184, age 31, occupation Farmer. Geo A. Smith household, 1880 U.S. Census, Grant County, Wisconsin, population schedule, Beetown, ED 98, sheet 3B, dwelling 39, family 40, age 25, occupation Works on Farm. Lewis Law household, 1910 U.S. Census, Grant County, Lewis Law, population schedule, Cassville, ED 17, sheet 5B, dwelling 121, family 122, age 37, occupation Farmer. Lewis H. Law household, 1920 U.S. Census, Grant County, Lewis H. Law, population schedule, Cassville, ED 95, sheet 4B, dwelling 99, family 99, age 47, occupation Teamster - City. Mary Gulick household, 1930 U.S. Census, Grant County, Mary Gulick, population schedule, Cassville, ED 9, sheet 7A, dwelling 191, family 193, age 72, occupation None. Mary Gulick household, 1940 U.S. Census, Grant County, Mary Gulick, population schedule, Cassville Village, ED 22-9, sheet 5B, Street or Post Office Amelia Street, number of household visited 45, National Archives micropublication T627-4481, age 88?, occupation ? Will L. McNiel, Jr. household, 1920 U.S. Census, Wise County, Will L. McNiel, Jr., population schedule, Gladeville, ED 169, sheet 7A, dwelling 122, family 124, age 38, occupation Farmer. Norman P. Briley household, 1910 U.S. Census, Rock Island County, Illinois, population schedule, Rock Island, ED 112, sheet 3B, dwelling 48, family 49, age 31, occupation Black Smith. CA Death Index, online search.ancestry.com, Death Index for Norma Margaret Meeker nee Briley. Birth 13 Mar 1905 in Illinois. Ancestry.com. World War I Selective Service System Draft Registration Cards, 1917-18 [database online] Provo, UT: Ancestry.com, 2002. National Archives and Records Administration. World War I Selective Service System Draft Registration Cards, 1917-1918. M1509, 20,243 rolls. Washington, D.C.: National Archives and Records Administration, online www.ancestry.com, Norman Percy Briley. Source Citation: Registration Location: Rock Island County, Illinois; Roll: 1614550; Draft Board: 2. Norman Briley household, 1920 U.S. Census, Rock Island County, Norman Briley, population schedule, Moline, ED 121, sheet 6A, dwelling 134, family 138, age 40, occupation Blacksmith Implament Factory. Norman P. Briley household, 1930 U. S. Census, Los Angeles, California, population schedule, Lomita, ED 1056, sheet 9B, dwelling 237, family 237, age 50, occupation Black Smith Boat Company. Norman P. Bri ley household, 1940 U. S. Census, Los Angeles, California, population schedule, Inglewood, ED 19-321, sheet 16B, dwelling 260th Street, family 1738, 398. 1901 British Census Index., online search.ancestry.com, RG 13/1468; RD: Peterborough; SD: Crowland; ED: 11; Folio: 50; Page 13; Household Schedule Number: 99;. Ancestry.com. England and Wales Civil Registration Marriage Index: 1837-1983 [database online]. Provo, Utah: MyFamily.com, Inc., 2005. Original data: Microfilm and microfiche of the England and Wales, Civil Registration Indexes created by the General Register Office, in London, England., online http://search.ancestry.com, Oct-Nov-Dec, 1900; Peterborough; Vol: 3B; Page:575. 1911 British Census, online htt://www.findmypast.co.uk, Richard Forth: RG number: RG14 Piece: 8717 Reference: RG14PN8717 RG78PN451 RD170 SD3 ED11 SN2. Alfred F. Hubbard household, 1930 U.S. Census, Sebastian County, Alfred F. Hubbard, population schedule, Fort Smith, ED 0034, sheet 6A, dwelling 138, family 157, age 74, occupation Engineer - Stationary. Dan Mcleod household, 1900 U.S. Census, San Francisco County, California, population schedule, San Francisco, ED 1, sheet 9B, dwelling 89, family 991, age 20, occupation Saloon Keeper. Daniel McLeod household, 1930 U. S. Census, El Dorado County, California, population schedule, Placerville, ED 15, sheet 3A, dwelling 69, family 75, age 52, occupation Merchant - Soft Drinks. Thomas F. Hayward household, 1900 U.S. Census, Rappahannock County, Virginia, population schedule, Hampton, ED 49, sheet 10B, dwelling 169, family 173, age 21, occupation County Clerk. Virginia Marriages,1785-1940, database, FamilySearch, online http://familySearch.org, Indexing Project (Batch) Number: M00624-7; System Origin: Virginia-EASy; Source Film Number: 2048472; Reference Number: Item 3 L 16. Find A Grave - Memorial Page, online www.findagrave.com, William Cleminson Armstrong, Sr - Find A Grave Memorial# 23189310. CA Death Index, online familysearch.org, FamilySearch (https://familysearch.org/ark:/61903/1:1:VG54-9HL : 26 November 2014), Dorothy Camp Salmon, 02 Aug 1996; Department of Public Health Services, Sacramento. Washington Death Certificates, 1907-1960 - FamilySearch, online familysearch.org, FamilySearch (https://familysearch.org/ark:/61903/1:1:N3L7-SWL : 10 March 2018), Adele Harriet Camp, 23 Jan 1912; citing Raymond, Pacific, Washington, reference 3, Bureau of Vital Statistics, Olympia; FHL microfilm 1,992,075. Hearld C Camp household, 1920 U.S. Census, Chelan County, Hearld C Camp, population schedule, Lakeside, ED 11, sheet 3A, dwelling 43, family 43, age 40, occupation Surveyer - County. United States World War I Draft Registration Cards, 1917-1918, database with images online at FamilySearch, online familysearch.org, FamilySearch (https://familysearch.org/ark:/61903/1:1:QJDG-7PYY : 13 March 2018), Harold Curtis Camp, 1917-1918; citing Chelan County, Washington, United States, NARA microfilm publication M1509 (Washington D.C.: National Archives and Records Administration, n.d.); FHL microfilm 1,991,534. John H. Jacobs household, 1910 U.S. Census, Whatcom County, John H. Jacobs, population schedule, Clearbrook, ED 339, sheet 2B, dwelling age 76, occupation Farmer - General Farm. Pauline J. Camp household, 1930 U.S. Census, Pierce County, Pauline J. Camp, population schedule, Fairfax, ED 27, sheet 8A, dwelling 2, family 2, age 56, occupation Grade School Teacher. Washington, Seattle, Passenger Lists, 1890-1957, database with images, online familysearch.org, FamilySearch (https://familysearch.org/ark:/61903/1:1:KDZ4-DMJ : 12 March 2018), Harold Camp, 1928; citing Seattle, King, Washington, United States, NARA microfilm publication M1383, National Archives and Records Administration, Washington, D.C.; FHL microfilm 2,266,120. Harold C Camp household, 1940 U.S. Census, Santa Barbara County, Harold C Camp, population schedule, Santa Barbara, ED 42-15, sheet 8A, Street or Post Office Castillo St., house number 1528, number of household visited 287, National Archives micropublication T627-333, age 61, Window Framer - Wood Work Shop. CA Death Index, online familysearch.org, FamilySearch (https://familysearch.org/ark:/61903/1:1:VPNT-6FR : 26 November 2014), Harold Curtis Camp, 23 Mar 1979; Department of Public Health Services, Sacramento. Edward Donhost household, 1910 U. S. Census, Los Angeles County, California, population schedule, Monterey Park, ED 14, sheet 7B, dwelling 204, family 210, age 40, occupation Sheet Metal Worker. CA Birth Index, online at search.ancestry.com, Frances' Birth Record. Ancestry.com. Indiana Marriage Collection, 1800-1941 [database online]. Provo, Utah: MyFamily.com, Inc., 2005., online at search.ancestry.com, Source Citation: Title: Marion County, Indiana, Index to Supplemental Record Marriage Transcript 1, W. P. A. Original Record Located: County Clerk's O; Book: 8;Page: 192. Washington Henderson household, 1900 U.S. Census, Sierra County, California, population schedule, Sierra, ED 0123, sheet 4B, dwelling 115, family 117, age 51, occupation Farmer. South Dakota, Department of Health, Index to Births 1843-1914 and Marriages 1950-2016," database,, online www.familysearch.org, FamilySearch (https://familysearch.org/ark:/61903/1:1:QKD8-RWS1 : 11 February 2018), Nellie Mccamish in entry for Hazel Nichols, 28 May 1901; citing Birth, Grant, South Dakota, United States, South Dakota Department of Health, Pierre. United States World War I Draft Registration Cards, 1917-1918, database with images online at FamilySearch, online familysearch.org, FamilySearch (https://familysearch.org/ark:/61903/1:1:K6ZJ-Z39 : 13 March 2018), Clinton Casius Nichols, 1917-1918; citing Burke County, North Dakota, United States, NARA microfilm publication M1509 (Washington D.C.: National Archives and Records Administration, n.d.); FHL microfilm 1,819,405. Daniel B. Nichols household, 1900 U.S. Census, Grant County, Wisconsin, population schedule, Milbank City, ED 155, sheet 4B, dwelling 81, family 81, age 53, occupation Farming. United States World War I Draft Registration Cards, 1917-1918, database with images online at FamilySearch, online familysearch.org, FamilySearch (https://familysearch.org/ark:/61903/1:1:QVJT-JDMZ : 13 October 2017), Clinton Cassius Nichols, 1942; citing NARA microfilm publication M1936, M1937, M1939, M1951, M1962, M1964, M1986, M2090, and M2097 (Washington D.C.: National Archives and Records Administration, n.d.). Clinton Nicholls household, 1910 U.S. Census, Burke County, Clinton Nicholls, population schedule, Carter, ED 182, sheet 8A, dwelling 21, family 21, age 31, occupation Farmer - General Farm. 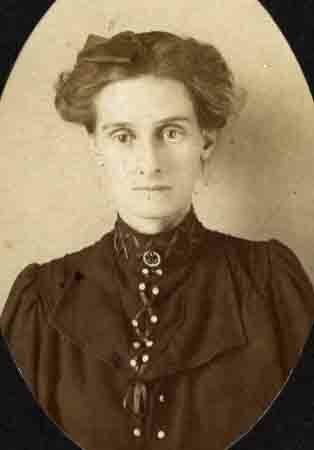 FamilySearch (https://familysearch.org/ark:/61903/1:1:QK94-L4KP : 17 March 2018), Hazel Nichols in household of C C Nichols, Burke, North Dakota, United States; citing family number 47, line number 220, State Historical Society of North Dakota; FHL microfilm 1,731,410. household, 1915 North Dakota State Census, Burke County, population schedule. Clinton Nichols household, 1930 U.S. Census, Whatcom County, Clinton Nichols, population schedule, Bellingham, ED 16, sheet 5B, dwelling 103, family 126, age 51, occupation Truck Driver - Highway Dept. Clinton C Nichols household, 1940 U.S. Census, Whatcom County, Clinton C Nichols, population schedule, |Bellingham, ED 37-13, sheet 3B, Street or Post Office Ellis Street, house number 2614, number of household visited 65, National Archives micropublication T627-4368, age 61, occupation Truck Driver - Bulding Material. United States, 1942 World War II Draft Registration Cards, viewed at FamilySearch, online familysearch.org, FamilySearch (https://familysearch.org/ark:/61903/1:1:QVJT-JDMZ : 13 October 2017), Clinton Cassius Nichols, 1942; citing NARA microfilm publication M1936, M1937, M1939, M1951, M1962, M1964, M1986, M2090, and M2097 (Washington D.C.: National Archives and Records Administration, n.d.). Find A Grave, database and immages, online www.findagrave.com, Elizabeth "Lizzie" Johnson Walter Orup, Find A Grave Memorial no: 108828525. Find A Grave, database and immages, online www.findagrave.com, Oscar F. Walter, Find A Grave Memorial no: 108828443. Kansas, Marriages, 1811-1911, database, online familysearch.org, FamilySearch (https://familysearch.org/ark:/61903/1:1:FW2Z-M4V : 16 March 2018), Oscar F. Walters and Elizabeth Johnson, 03 Jan 1900; citing Marriage, 03 Jan 1900, Kansas City, Wyandotte, Kansas, United States, various counties’ district court, and the Kansas State Historical Society, Topeka; FHL microfilm 1,601,510. Letter, Tom McLochlan to David C. Pratt, ca 1980, Cumberland Co. N.C. McL Geneology. Archie Mc Mclauchlin household, 1880 U.S. Census, Cumberland County, North Carolina, population schedule, Cedar Creek, ED 59, sheet 410B, dwelling 245, family 245, age 35, occupation Farmer. Martin L. Ray household, 1900 U.S. Cenaua, Geneva County, Martin L. Ray, population schedule, Geneva, ED 77, sheet 17A, dwelling 296, family 306, age 64, occupation Farmer. Jefferson D. Baily household, 1920 U.S. Census, Covington County, Jefferson D. Baily, population schedule, Florala, ED 57, sheet 17B, dwelling 359, family 365, age 59, occupation Lawyer. Martin L. Ray household, 1910 U.S. Census, Covington County, Martin L. Ray, population schedule, Florala, ED 53, sheet 24B, dwelling 510, family 525, age 73, occupation Own Income. Alabama, Select Marriages, 1816-1957. online at Ancestry.com, online search.ancestry.com, Luther Ray and Ruby Bailey; FHL Film Number: 1288860; Reference ID: 250. Luther G. Ray household, 1930 U.S. Census, Covington County, Luther G. Ray, population schedule, Florala, ED 0016, sheet 5A, dwelling 111, family 124, age 51, occupation Retail Merchant - Hardware. Luther G. Ray household, 1940 U.S. Census, Covington County, Luther G. Ray, population schedule, Florala, ED 20-17, sheet 1B, Street or Post Office East Fifth Avenue, house number 1118, number of household visited 21, National Archives micropublication T627-20, Luther was listed as a married 60 year old without occupation. Mattew Jasorka household, 1910 U.S. Census, Cook County, Illinois, population schedule, Chicago, ED 208, sheet 4B, dwelling 56, family 93, age 31, occupation Paint Mixer. Matt Jasorka household, 1920 U. S. Census, Cook County, Illinois, population schedule, Chicago, sheet 269, dwelling 10B, family 117, 225. Arthur O. Mattice household, 1900 U.S. Census, Dutchess County, Arthur O. Mattice, population schedule, Poughkeepsie, ED 32, sheet 4A, dwelling 44, family 67, age 29, occupation Clerk. Herbert Mattice household, 1930 U.S. Census, Dutchess County, Herbert Mattice, population schedule, Poughkeepsie, ED 62, sheet 16A, dwelling 230, family 459, age 30, occupation Baker - Bakers Shop. Find A Grave, database and immages, online www.findagrave.com, Frank Dexter Oberg, Find A Grave Memorial no: 18402700. Frank Oberg household, 1920 U.S. Census, Clay County, Frank Oberg, population schedule, Clay Center, ED 4, sheet 8B, dwelling 217, family 227, age 40, occupation Banker - Bank. Frank Oberg household, 1910 U.S. Census, Clay County, Frank Oberg, population schedule, Clay Center, ED 4, sheet 10B, dwelling 184, family 193, age 30, occupation Cashier - Bank. United States World War I Draft Registration Cards, 1917-1918, database with images online at FamilySearch, online familysearch.org, FamilySearch (https://familysearch.org/ark:/61903/1:1:K66H-BG3 : 13 March 2018), Frank Oscar Oberg, 1917-1918; citing Clay County, Kansas, United States, NARA microfilm publication M1509 (Washington D.C.: National Archives and Records Administration, n.d.); FHL microfilm 1,643,429. Frank Oberg household, 1930 U.S. Census, Clay County, Frank Oberg, population schedule, Clay Center, ED 6, sheet 6B, dwelling 168, family 168, age 50, occupation Cashier - Bank. Frank O Oberg household, 1940 U.S. Census, Clay County, Frank O Oberg, population schedule, Clay Center, ED 14-5, sheet 10B, Street or Post Office 5th, house number 1521, number of household visited 344, National Archives micropublication T627-1224, age 60, occupation President - Bank. Thomas Brown household, 1880 U.S. Census, Westmoreland County, Thomas Brown, population schedule, Cople, ED 115, sheet 435B, dwelling 166, family 166, age 33, occupationj Merchant. Virginia Births and Christenings, 1853-1917; Viewed on FamilySearch, online www.familysearch.org, FamilySearch (https://familysearch.org/ark:/61903/1:1:X58Y-X5Q : accessed 25 November 2015), Richard C. Brown, 09 May 1879; citing Westmoreland Co., Virginia, reference p 73; FHL microfilm 34,336. Virginia, Deaths and Burials, 1853-1912, index, at FamilySearch, online familysearch.org, FamilySearch (https://familysearch.org/ark:/61903/1:1:X5RN-76R : accessed 25 November 2015), Claybrook Brown, 22 Aug 1884; citing Cople Dist., Westmoreland, Virginia, reference p. 60 ln. 6; FHL microfilm 34,325. John Briley household, 1900 U.S. Census, Fulton County, Illinois, population schedule, Canton, ED 8, sheet 12A, dwelling 281, family 294, age 63, occupation Black Smith. John Brirely household, 1880 U.S. Census, Fulton County, John Brirely, population schedule, Canton, ED 35, sheet 104A, dwelling 299, family 342, age 43, occupation Back Smith. James F. Maury household, 1900 U.S. Census, Mobile County, Alabama, population schedule, Spring Hill, ED 0089, sheet 8B, dwelling 144, family 156, age 39, occupation Real Estate Agt. Richard W. Jones household, 1910 U.S. Census, Decatur County, Richard W. Jones, population schedule, Baomleridge, ED 0050, sheet 12B, dwelling 226, family 244, age 39, occupation Engineer - Rail Road. CA Birth Index, online at search.ancestry.com, Birth Index for Helene Kay Gorman. New York Passenger Lists, 1820-1957 [database on-line]. Provo, UT, USA: The Generations Network, Inc., 2006. Original data: Passenger Lists of Vessels Arriving at New York, New York, 1820-1897; (National Archives Microfilm Publication M237, 675 rolls); Records of the U.S. Customs Service, Record Group 36; National Archives, Washington, D.C. Passenger and Crew Lists of Vessels Arriving at New York, New York, 1897-1957; (National Archives Microfilm Publication T715, 8892 rolls); Records of the Immigration and Naturalization Service; National Archives, Washington, D.C., online search.ancestry.com, Year: 1912; Arrival: New York, New York; Microfilm Serial: T715, 1897-1957; Microfilm Roll: Roll 1941; Line: 19; Page Number: 124. New York Passenger Lists, 1820-1957 [database on-line]. Provo, UT, USA: The Generations Network, Inc., 2006. Original data: Passenger Lists of Vessels Arriving at New York, New York, 1820-1897; (National Archives Microfilm Publication M237, 675 rolls); Records of the U.S. Customs Service, Record Group 36; National Archives, Washington, D.C. Passenger and Crew Lists of Vessels Arriving at New York, New York, 1897-1957; (National Archives Microfilm Publication T715, 8892 rolls); Records of the Immigration and Naturalization Service; National Archives, Washington, D.C., online search.ancestry.com, Year: 1930; Arrival: New York, New York; Microfilm Serial: T715, 1897-1957; Microfilm Roll: Roll 4829; Line: 16; Page Number: 89. Ancestry.com. World War I Selective Service System Draft Registration Cards, 1917-18 [database online] Provo, UT: Ancestry.com, 2002. National Archives and Records Administration. World War I Selective Service System Draft Registration Cards, 1917-1918. M1509, 20,243 rolls. Washington, D.C.: National Archives and Records Administration, online www.ancestry.com, Registration Location: Alameda County, California; Roll: 1531215; Draft Board: 6. .S. World War II Draft Registration Cards, 1942 [database on-line]. Provo, UT, USA: The Generations Network, Inc., 2007. Original data: United States, Selective Service System. Selective Service Registration Cards, World War II: Fourth Registration. National Archives and Records Administration Branch locations: National Archives and Records Administration Region Branches., online http://www.ancestry.com, Roll: WWII_1838083; Local board: Ala , California. California, County Marriages - viewed at FamiySearch, online www.familysearch.org, FamilySearch (https://familysearch.org/ark:/61903/1:1:K8ZX-6CY : accessed 17 December 2015), Leroy Andrew Reynolds and Anna Stella Rose, 24 Dec 1903; citing San Joaquin, California, United States, county courthouses, California; FHL microfilm 1,841,858. United States World War I Draft Registration Cards, 1917-1918, database with images online at FamilySearch, online familysearch.org, FamilySearch (https://familysearch.org/ark:/61903/1:1:KZVP-GSP : 13 March 2018), Leroy Andrew Reynolds, 1917-1918; citing Oakland City no 6, California, United States, NARA microfilm publication M1509 (Washington D.C.: National Archives and Records Administration, n.d.); FHL microfilm 1,531,215. Leroy Reynolds household, 1920 U. S. Census, Alameda County, Leroy Reynolds, population schedule, Oaklnad, ED 117, sheet 13B, dwelling 343, family 365, age 39, occupation Machinest Iron Works. Leroy Reynolds household, 1930 U.S. Census, Alameda County, Leroy Reynolds, population schedule, Oakland, ED 134, sheet 37B, dwelling 516, family 568, age 50, occupation Machinest Pacing Company. F. F. Packer household, 1900 U.S. Census, Whatcom County, F. F. Packer, population schedule, New Whaatcom, ED 243, sheet 11A, dwelling 220, family 224, age 54, occupation Wood Dealer.